December 23, 2015 /0 Comments/in Birth Injury /by Reiter & Walsh, P.C. In our previous article, we discussed a recent study that found a connection between severity of seizures and neonatal severity of injury. 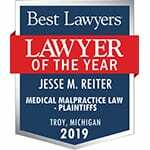 At Reiter & Walsh, P.C., we have won many successful cases where severe birth injuries caused brain injuries that resulted in severe seizures and seizure disorders. As the study reiterated, hypoxic ischemic encephalopathy (HIE) (lack of oxygen and blood flow to the brain around the time of delivery) can cause neonatal seizures. As the majority of our cases involve children who suffer from HIE, we make it our mission to stay informed on both the medical and legal sides of birth injuries. Below, we will discuss how medical mistakes can cause neonatal seizures. Prolonged second stage of labor – The second stage is the time between when the mother is fully dilated and the time the baby delivers. When this stage lasts more than four hours, it is considered prolonged. Prolonged labor compromises fetal oxygen intake, which causes HIE, permanent brain damage and neonatal seizures. To avoid fetal oxygen deprivation, medical professionals must timely deliver the baby. Depending on the circumstances, C-sections may be required to reduce the risk of brain injury to the baby. Misuse of forceps or vacuum extractors – If forceps or vacuum extractors are used improperly when delivering the baby, bruising, intracranial hemorrhages, blood clots, skull fractures and permanent brain damage can occur. Undiagnosed or mistreated infection – Untreated infections can cause brain injury that results in neonatal seizures. These infections can include Group B Streptococcus and Herpes Simplex Virus (HSV). When left untreated, infections lead to brain conditions such as meningitis (infection of the fluid and lining around the brain) and encephalitis (inflammation of the brain). Babies can get infections from the mother during birth or from other sources. In the past, the Reiter & Walsh legal team served a client who suffered from intracranial hemorrhages, cerebral palsy and a severe seizure disorder as a result of brain injury from a vacuum extractor during birth. The doctor had little to no experience in working with the vacuum extractor, and because the vacuum extractor was misapplied, the child was permanently injured. In this case, Reiter & Walsh, P.C. 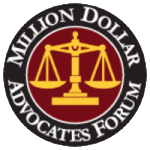 obtained $1.125 million dollars for our client. This is just one example of the type of work that we do. In cases like these, we understand that settlements for lifelong care and treatment are needed. Misuse of forceps has the potential to cause not just seizures and cerebral palsy, but HIE, brain bleeds, hematomas, brain damage, intellectual disabilities and developmental delays as well. If you or your child suffer from permanent birth injuries or disabilities, contact us to see if you have a case. At Reiter & Walsh, P.C., we understand the lifelong care needs of children with birth injuries. Call us for a free case review.